A beautiful boho chic style mountain themed save the date featuring the great outdoors minimalist fonts. A gorgeous and elegant save the date card which will set the stage for your lovely bohemian adventure themed nuptials. Each card comes with an accompanying envelope. 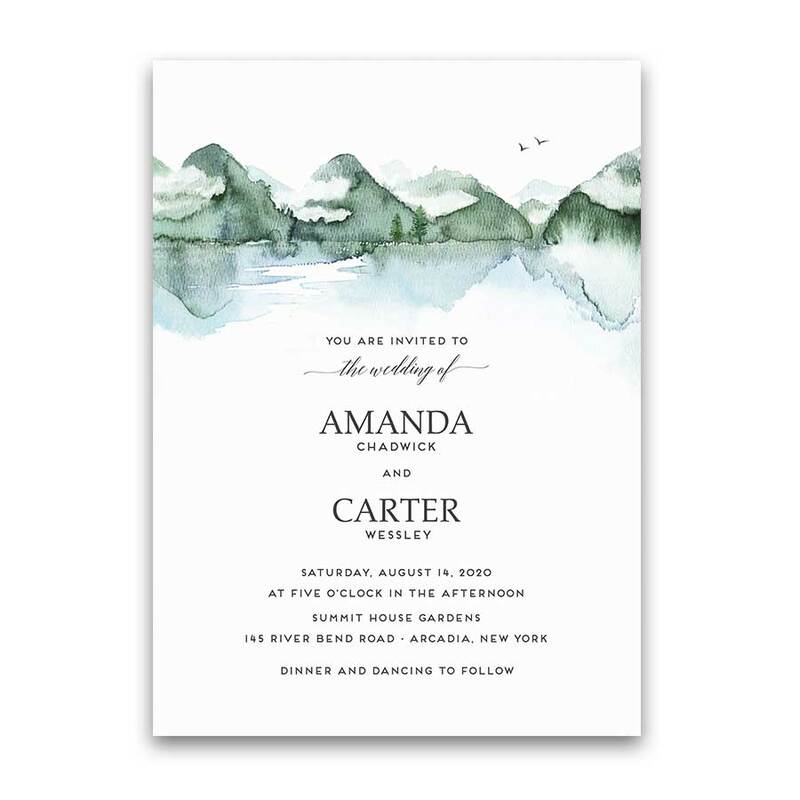 Mountain Save the Date Card Forest Wedding Watercolor Style. 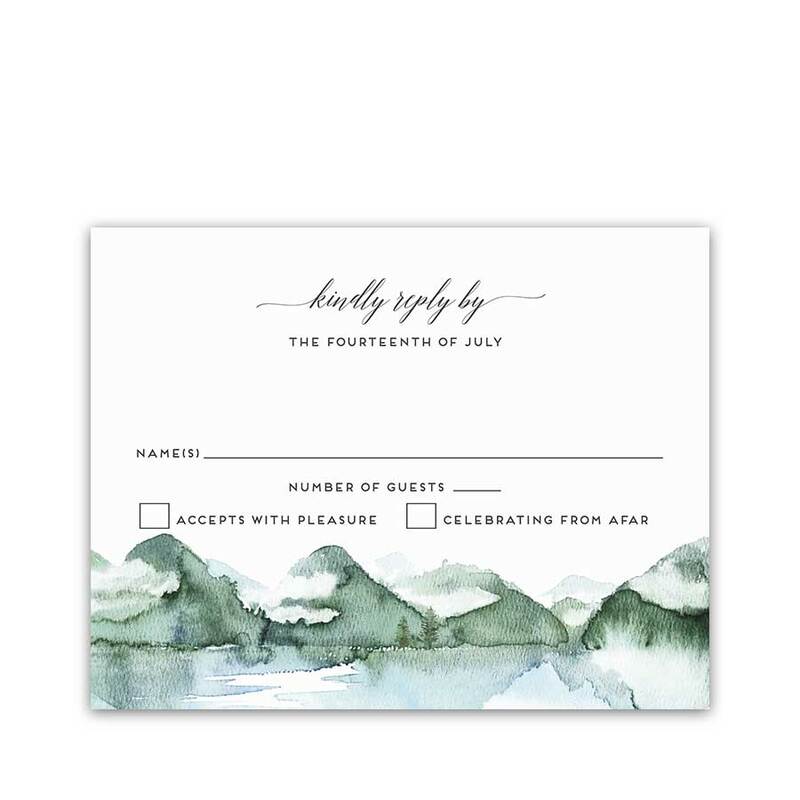 This watercolor mountain themed wedding save the date card features a lakeside mountain landscape with pine trees and modern styling. 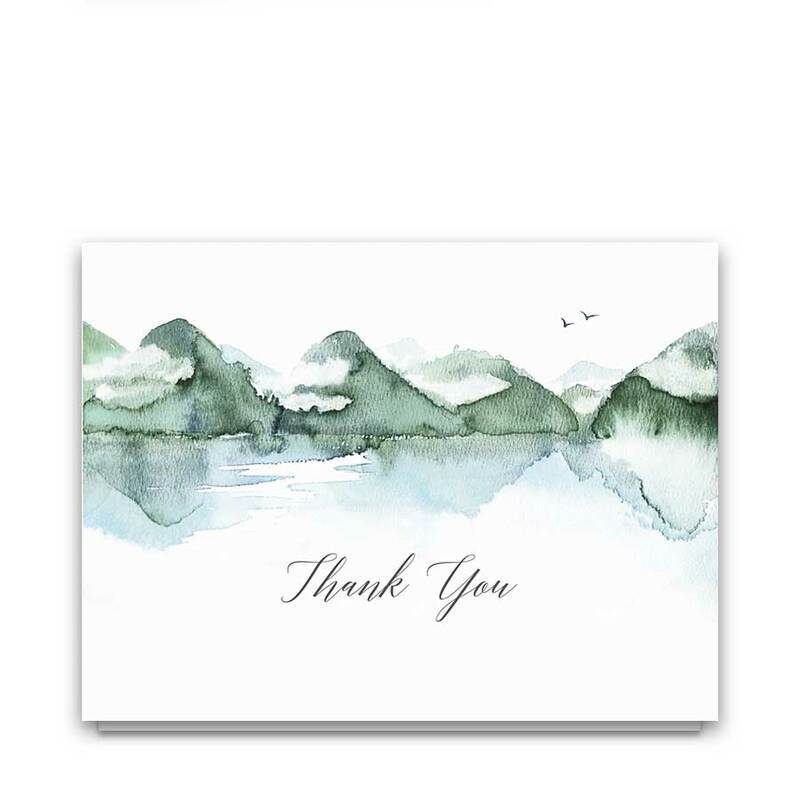 Hand Painted mountains in tones of green set the stage for a whimsically elegant outdoor adventure wedding in all months. Welcome to the Highlands Collection. Save the date card for your outdoor mountain wedding with this absolutely stunning save the date card. 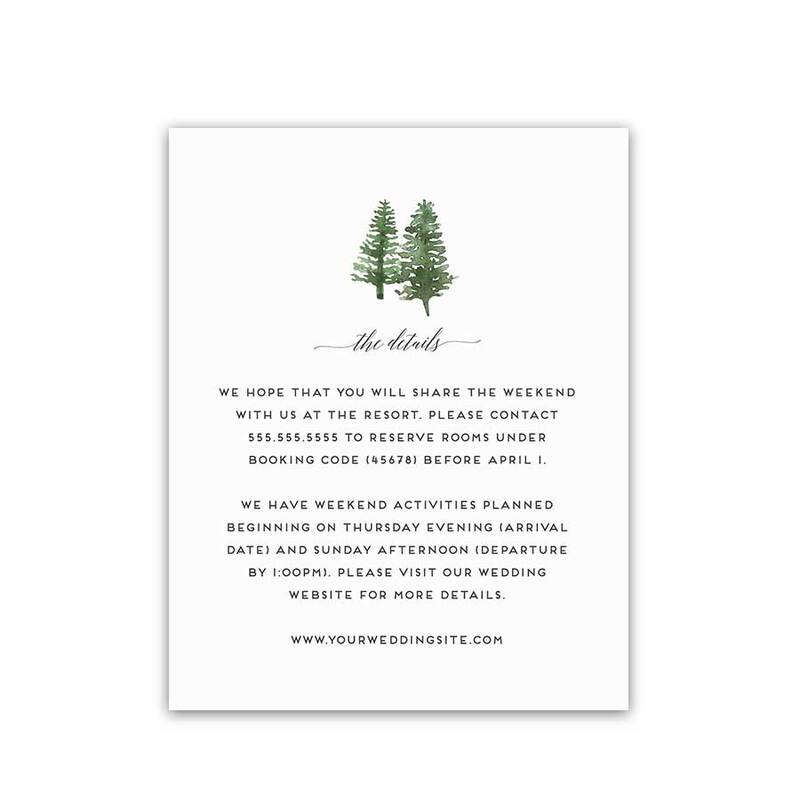 Featuring a white background and watercolor mountains, the pine trees and lake announce your wedding. Modern fonts complete the design perfectly. Likewise, an entire wedding suite with coordinating mountain designs is available in the store. Especially relevant for: outdoor weddings, summer weddings, boho chic weddings, and rustic chic weddings- not to mention adventure themed weddings alike in summer, spring and winter. We also offer more creative and romantic save the date cards in the store. Also, be sure to check out our Pinterest Wedding Boards for more wedding inspiration and ideas. 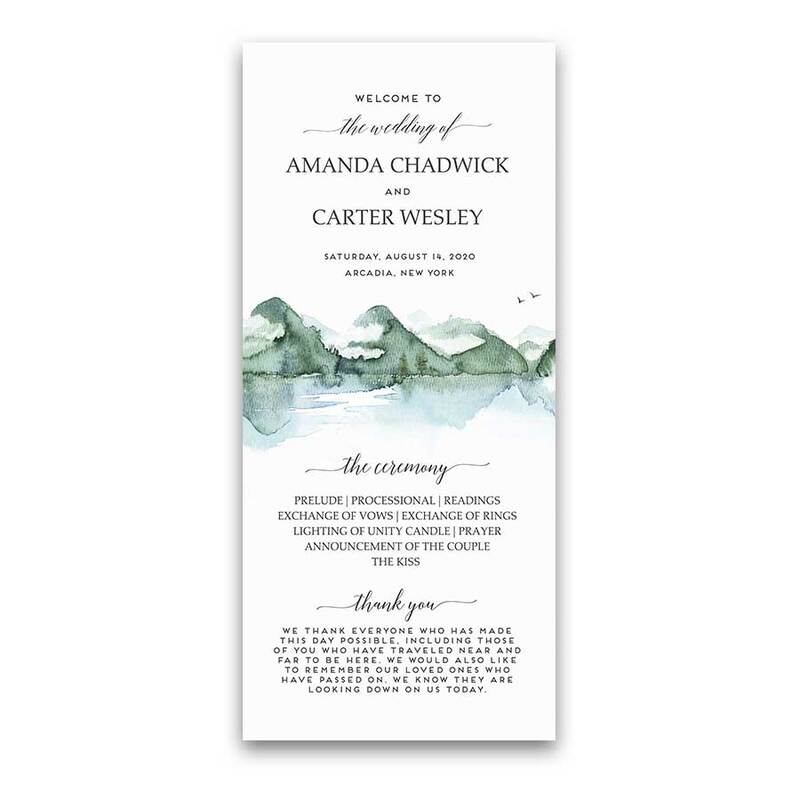 The Mountain Save the Date Card Forest Wedding Watercolor Style measure 7 inches wide by 5 inches long. Cards arrive printed on our gorgeous #120 Signature paper with the choice of white or cream cotton, lat back envelopes. In addition, the back side of the invitation is white. Please include the wording for the card exactly as you would like it to read during checkout. Proofs allow you the opportunity to review for errors and make edits before we go to print.